Lululemon Addict: Color Comparison: Desert Olive vs. Fatigue and Vintage Green. 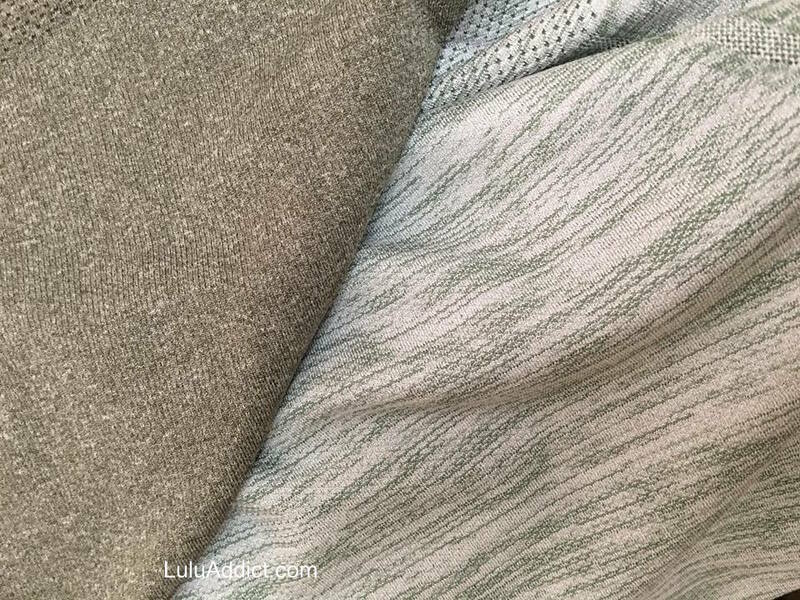 Color Comparison: Desert Olive vs. Fatigue and Vintage Green. Vintage Green, Desert Olive, and Fatigue Swiftlys. The Desert Olive Swiftly tank wasn't uploaded but it is in US stores. I hope it's coming in all three Swiftly styles. Take in artificial indoor light. Side by side of Fatigue and Desert Olive. Next to the SW shorts. I don't know how I missed buying the Heathered Vintage Green Swiftly, it looks gorgeous. I like the colour Desert Olive but I think they put too much white in it and it really fades out the colour. Not a fan of this one for some reason. Like Tofino Teal (which in the end with all the white didn't even look like teal) this is too much white. Not enough color to it for me. :( Sad, what are they doing to the pretty colors in these swiftlies? This is probably the first time I've been interested in a swiftly- this one and the hero blue have both caught my eye and the tanks make me less nervous than the LS in terms of snagging. I just haven't been able to stomach the thought of such a fragile top after seeing a LS hanging in my store that was all snagged up from being tried on (yikes). 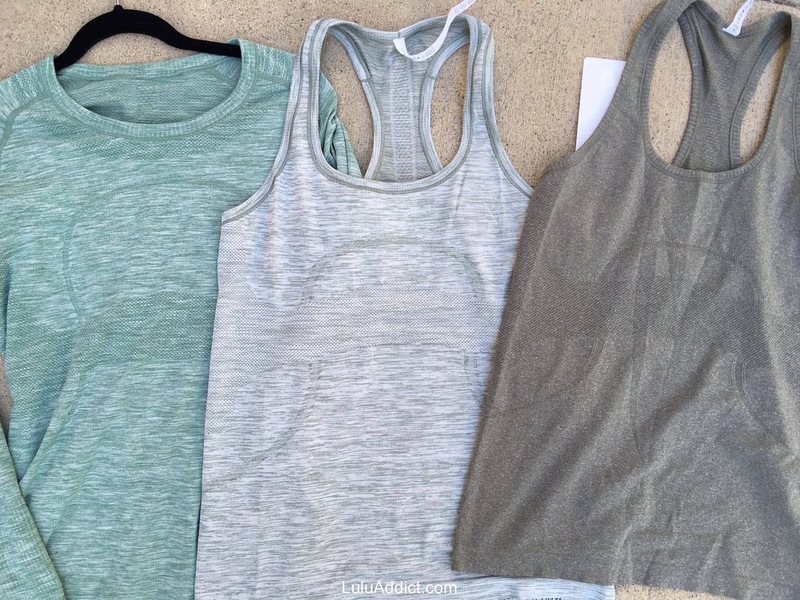 I DID try on the black swiftly tank and was pretty impressed by that fabric though but I couldn't commit. Would love a long sleeve Desert Olive Swiftly!!!!! @ anon 5:36 am - It was only uploaded to the Canadian side of the website but it hit US stores. Same with the white nimbus wee space Pace Rivals. I am hearing they are in US stores now, too, but were only uploaded to Canada. @6:39A.M. I agree that they ruined the tofino teal, a colour I really liked but the horrible beige/white they put with it ruined it and I see Hero Blue has a lot of white in it as well, so sad. I know white fabric is cheaper than colours so are they cheaping out here? LLA, have you seen the white space dye Pace Rival Crops in US stores yet? It is such a great neutral for summer...I have so many dark pairs I thought I would try these out. Thanks in advance! @ anon 3:50 pm - They weren't in my store yesterday but a friend in Massachusetts said they were at her store today. I think the ones with more white in them are to change it up a bit - and it is a nice change imo, even though the more saturated coloured ones are my favourite I still like these ones too. When you already have like ten different shades of the same colour one mixed with more white can be a nice change. I'm actually really glad to see a lot more variety in the Swiftly tops over the past year. I'm a Swiftly top addict and am always adding new ones in all the styles in any new colours and patterns that catch my eyes. I too am a swiftly top fan, wear them every day but in order to change things up by adding so much white, is not very creative. I think it's time to retire the heathered look and give us more tone on tone and saturated colours. 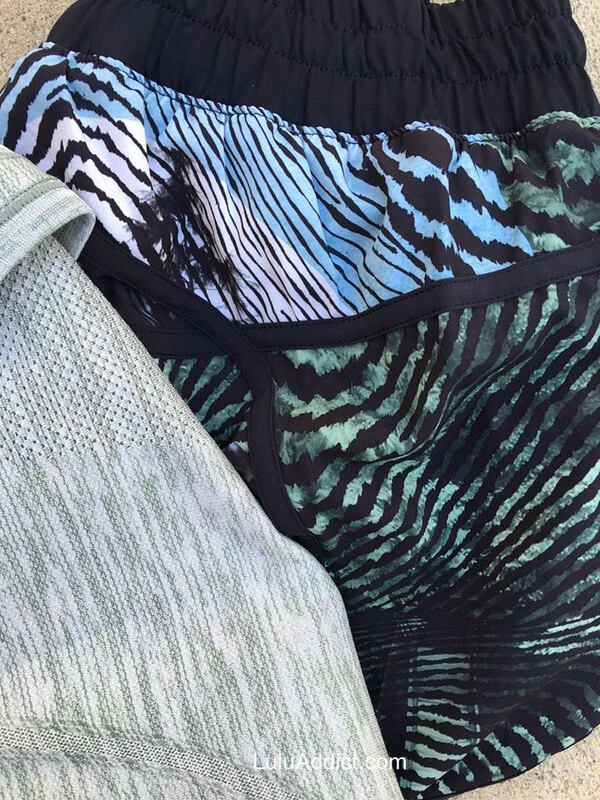 The only thing saturated these days at LLL is all the heathered fabrics. I like swiftlys too i hate how they call every color regardless of pattern mini stripe or diagonal stripes or what ever they call it "heathered" then the name..... Bugs me! I do like all these new greens w/ a bunch of white in them i think they are pretty! I do not like the ones w/ weird geometric designs in them. I remember back in the day they would release a pretty floral pattern in them forgot what it was called they did a rose or muted mauve color and white...... wish i would have got one because its been like 5-10 years since they did that! Also notice how they never ever do a super saturated bright sunshine yellow! Never rubber ducky was the closest and that was forever ago! I just got a jcrew linen T in butternut and it is so pretty, i was thinking wow wish i knew a designer at lulu and could send them this shirt and say hey lulu do this color for summer or winter it would be awesome!! They don't do unusual colors anymore! Hi 2:11pm My all time favourite swiftly is the one you refer to with a pretty floral pattern. I have that one in zinfandel, not the dark zinfandel out right now but a lighter one. It's a tone on tone floral print and I have it in s/s and l/s and they are still in mint condition, no snags! 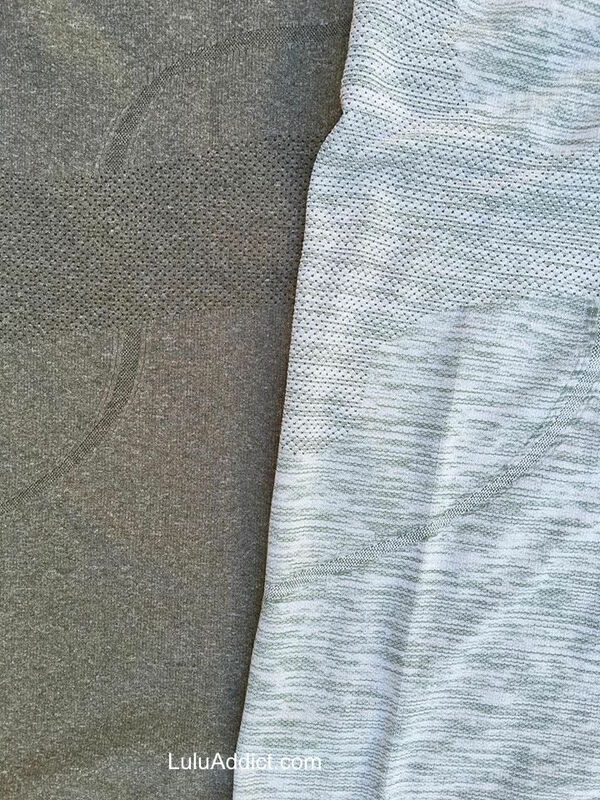 I would love to add to my collection of this tone on tone print in some beautiful colours like tofino teal, alberta lake, kayak blue, vintage pink, cadet blue and desert olive to name a few.